The student orchestra, “Smiling Strings,“ was established in 2013 as part of the ZUS Střezina, a School for the Arts in Hradec Králové, Czech Republic. 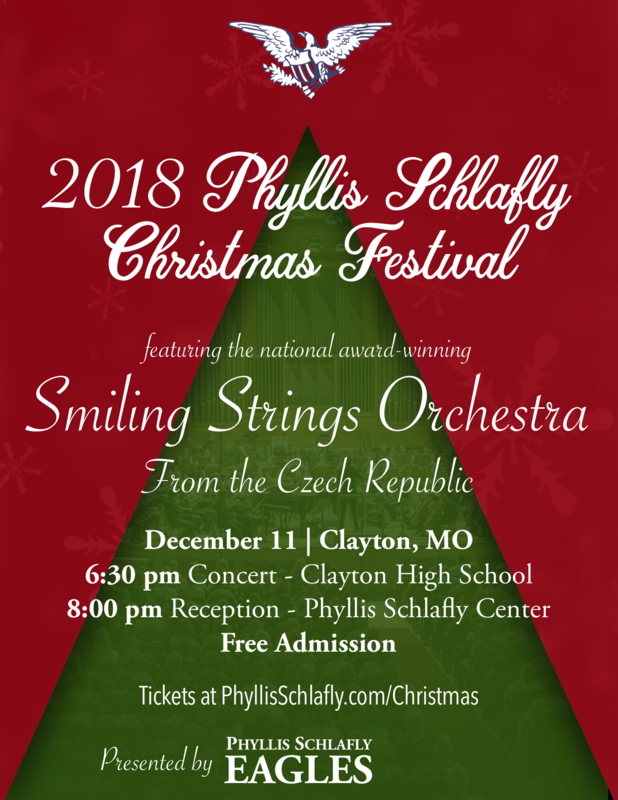 The “Smiling Strings” group includes middle school and high school students selected from the school’s large string department, ages 12-18. They are performing a U.S. tour including a stop in St. Louis! Phyllis Schlafly Eagles will host the Smiling Strings Orchestra on December 11, 2018 here in Clayton, Missouri for this year’s wonderful Phyllis Schlafly Christmas Festival.